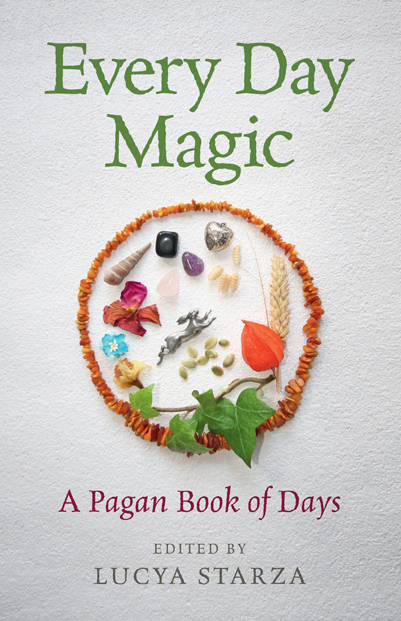 This time last year I was busy taking photographs for the cover of a book I had just finished editing, Every Day Magic - A Pagan Book of Days. What I was photographing was a mandala I had created using flowers and leaves from my own garden as well other found items, jewellery and trinkets that held a personal meaning for me. I enjoyed doing the mandala and so, as one of my new year resolutions, I decided to create a mandala each month during 2017. These would represent the changing seasons as they happened. The photo above shows my last mandala in that cycle - for December and the Winter Solstice. Most of the natural items in the mandala picture above are things I collected on a winter walk on a nature reserve last weekend. 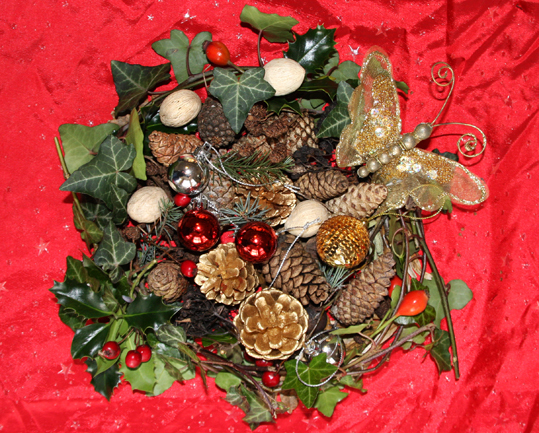 They include pine cones, leaves, ash tree keys, red berries and a little holly. The circle of ivy that surrounds it comes from my own garden. To it I added snippets of pine from my Yule tree, a few baubles borrowed from the tree, some gold-painted pine cones and nuts, and a golden butterfly to top it off. Yes, I know butterflies are hardly seasonal, but this sparkly, glittery golden one reminds me that the sun is soon to be reborn and that everything in the garden will in time return to life. Spring and summer will come again as the wheel of the year turns.